Obstetric Ultrasound (Queen Memorial Hospital Glasgow). Institute of Molecular Medicine, Oxford (UK). MRC Genetics Unit, Western General Hospital, Edinburgh, UK. MRC Reproductive Biology Unit, Edinburgh, UK. Biochemical Genetics Unit, Royal Hospital Sick Children, Edinburg, UK. Dept. of Obst. & Gynec.Kings College Hospital, Denmark Hill, UK. IVF (Embryology) - Bourn Hall, Cambridge, UK. Clinical Cytogenetics and Molecular Cytogenetics. DNA analysis and PCR based Molecular Diagnosis. Animal and Human Cell Culture. Assisted Reproductive Technology & Cry preservation. Fish Breeding & Genetic Modification. *Molecular Cytogenetics (FISH/ HR-CGH) in Clinical Genetic. Stem Cell transplantation in Cancer and Thalassaemia. Teaching program in various Institutions in USA & UK. 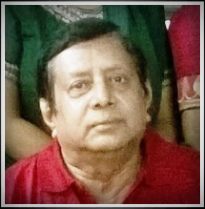 Ex-Prof. & Head, Biotechnology Dept, INSTITUTE OF TECHNOLOGY MARINE ENGINEERING, KOLKATA. Indian Society for Human Genetics. Fellow, Indian College of Maternal and Child Health. Chapter : *An Introduction To Genetics And Fetal Medicine (Published in 1996) Editor Kamini A. Rao. Chapters : 2. Laboratory Techniques In Prenatal Diagnosis Of Genetic Disorders. Test Book of Pediatrics (Published in 1991, Re-edition Jan. 1998) Editor – Dr. P. M. Udani. Editor, Fetal Medicine & surgery ; ISPAT News Letter. Sudipa Basu & Amit Chakravarty : Population screening of Thalassaemia – A Preliminary report ; 15th National Congress of Perinatology ; 3 – 4th April, (1999). Sudipa Basu and Amit Chakravarty : Thalassaemia trait in our population; BOGS regional annual conference ; Kalyani ; 21st August, (1999). Sudipa Basu and Amit chakravarty : Thalassaemia Screening : BOGS Annual Conference, Kolkata ,27th February, (2000). Sudipa Basu and Amit Chakravarty : Population screening of Thalassaemia in Eastern part of India; 2nd International Conference on Thalassaemia; New Delhi; (2000). Amit Chakravarty and Sudipa Basu : Thalassaemia Screening in Eastern part of India ; ISPAT Annual Congress ; Pune ; 16th January, (2002). Sudipa Basu Chakravarty and Amit Chakravarty : Genetic Screening and Prevention of Thalassaemia in Indian population ; ISPD ; Japan ; (2002). Jhimli Dasgupta, Udayaditya Sen, Debi Choudhury, Poppy Datta, Abhijit Chakrabarti, Sudipa Basu Chakravarty, Amit Chakravarty and J.K.Dattagupta: Crystallization and Preliminary X-ray structural studies of Haemoglobin A2 and Haemoglobin E, isolated from the blood samples of beta-thalassemic patients;Biochemical Biophysical Research Communications.(2003). Poppy Datta, Sudipa Basu Chakravarty, Amit Chakravarty and Abhijit Chakrabarti: Interaction of erythroid spectrin with hemoglobin variants: Implications in beta–Thalassemia; Blood Cells, Molecules & Diseases, (2003). Udayaditya Sen, Jhimli Dasgupta, Debi Choudhury, Poppy Datta,| Abhijit Chakrabarti,| Sudipa Basu Chakrabarty, Amit Chakrabarty, and Jiban K. Dattagupta. Crystal Structures of HbA2 and HbE and Modeling of Hemoglobin ‰4: Interpretation of the Thermal Stability and the Antisickling Effect of HbA2 and Identification of the Ferrocyanide Binding Site in Hb‡ Biochemistry; (2004). Ilamas in considering β-Thalassemia status in subjects with borderline HbA₂ values: a pilot study in Eastern India; Tridip Chatterjee, Amit Chakravarty, Sudipa Chakravarty; Thalassemia Reports 2014: vol 4(s1):2103. Mutational Spectrum of Thalassemias and other Hemoglobinopathies in West Bengal, Eastern India; Tridip Chatterjee, Amit Chakravarty, and Sudipa Chakravarty ; Hemoglobin, 2014; 38(6): 405–408. Differential regulation of plasma proteins between members of a family with homozygous HbE and HbEβ-thalassaemia; Suchismita Halder, Tridip Chatterjee, Amit Chakravarty, Sudipa Chakravarty, Abhijit Chakrabarti; Thalassemia Reports 2014: vol 4(s1):1837. Clinical Presentation of two Beta-Thalassaemic Indian Patients with 1p 36 Deletion Syndrome- Case Report; Puspal De, Tridip Chatterjee, Sudipa Chakravarty and Amit Chakravarty; Journal of Pediatric Genetics; 2014. Population Screening and Prevention Strategies for Thalassaemias and other Haemoglobinopathies of Eastern India: Experience of 18,166 cases; Tridip Chatterjee, Amit Chakravarty, Sudipa Chakravarty; Hemoglobin 2015, DOI :10.3109/03630269.2015.1068799. Mutational Spectrum of thalassaemia in Chittagong, Southeastern part of Bangladesh; Tridip Chatterjee, Amit Chakravarty, Sudipa Chakravarty, Mahmood Ahmed chowdhury, Razia Sultana; Hemoglobin 2015, DOI:10.3109/03630269.2015.1078810. Established First Private Genetic Diagnostic Centre at Bombay India In 1981. Awarded Fellowship, Indian College of Maternal and Child Health. Trained More Than 50 Medical Doctors & Scientists in Human Cytogenetics & Molecular Genetics.